In 1968, when George Wallace ran for President on the American Independent Party ticket, he accused Democrats and liberals of selling out God-fearing working people to what he called “the exotics”—draft dodgers, feminists, homosexuals, marijuana smokers, atheists, coddled criminals, lazy welfare recipients and bizarre minority groups. He attracted enough of the Democratic vote to give the victory to Richard M. Nixon and the Republicans. Benajamin J. Wattenberg and Richard M. Scammon, in their 1970 book The Real Majority, said Lyndon Johnson may have been a great poverty-fighter and civil rights advocate, they wrote, but the majority of Americans were, in their phrase un-young, un-poor and un-black. They imagined a statistically average American voter as a 47-year-old white machinists’ wife living in Dayton, Ohio. Her main concern was what Watternberg and Scammon called the Social Issue, which consisted of fears of crime, racial conflict and a crumbling social order. The housewife might have fled a neighborhood that is in the process of becoming all black, and worried that she could not afford to move again. She might have a brother-in-law who is a policeman, and might be worried that her son is attending a community college where LSD was found on campus. The Democrats would lose, they said, unless they could find a way to address her fears. In 1972, Nixon won a landslide against George McGovern, who was labeled the candidate of “amnesty (for draft dodgers), acid and abortion.” For nearly 40 years, the Republicans played variations on this theme, and it worked. The only successful Democratic Presidential candidates between 1968 and 2008 were two white Southerners, Jimmy Carter and Bill Clinton, who presented themselves as different from the other Democrats. But over time the country changed. By 2008 and 2012, the un-young, un-poor and un-black no longer added up to a majority. A white machinists’ wife in Dayton would probably be working outside the home out of financial necessity. Her husband would likely be laid off from his machinist’s job, and be either unemployed or underemployed. She might have relatives who were openly gay, or who had black or Hispanic spouses, or who had had abortions. What do the Republicans have to say to her now? 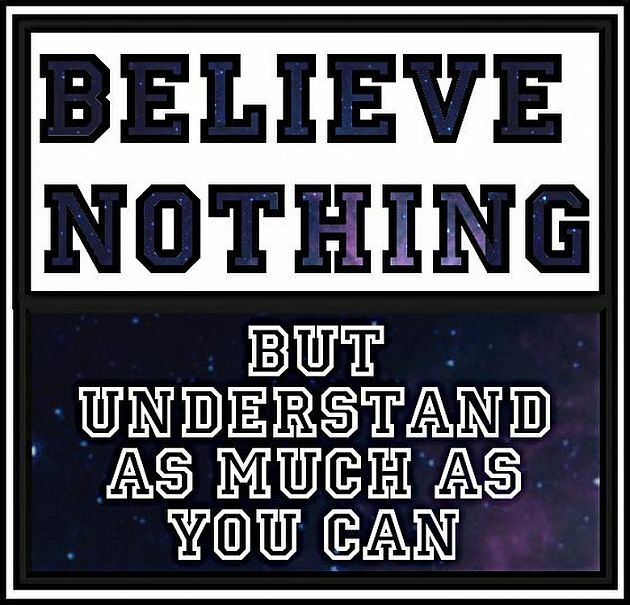 A young man who posts on BlogTruth summed up some lessons that life has taught him so far. Many never learn these lessons until much later in life, and some never learn at all. Listen at least twice as much as you speak. Think deeply, speak softly. Don’t give advice unless asked for it. When you give advice, tread lightly. Put yourself in others’ shoes. See the world through others’ eyes. Assume nothing. Adopt an iron clad policy of honesty and integrity. Never steal. Try not to lie, embellish or gossip. Be good to your wife and compliment her often, even when she looks like hell—especially when she looks like hell. via BlogTruth | Observations from a student of life. A wise friend of mine once said that immigration is what defines and renews the United States. Virtually all immigrants come to this country in search of opportunity to better their condition through their own efforts. Many of them flee tyranny. Immigration provides a constant replenishment of enterprising, freedom-seeking people. Isabel Wilkerson’s The Warmth of Other Suns: The Epic Story of America’s Great Migration shows that this is true of the African-Americans who left the South for the North and West between 1915 and 1970. They, too, were in search of economic opportunity and political freedom. Their journeys were as difficult and as significant as the journeys of immigrants who crossed oceans and national borders, and, like other immigrants, they had to struggle with poverty, prejudice, an alien culture, even a language barrier (the black Southern dialect was not standard English). Wilkerson describes this history through the lives of three individuals who reflect the diversity of the black migration—Ida Mae Gladney, the wife of a poor Mississippi sharecropper, who left for Chicago in 1937; George Starling, a hot-tempered Florida fruit picker who left for New York in 1945; and Robert Pershing Foster, a physician who sought an independent life in Los Angeles in 1953. Sharecroppers in the 1930s were only one step up from slavery, if that. They had to accept whatever their landlords chose to give them, and risked their livelihoods and even their lives if they dared ask for an accounting. Gladney and her husband had a relatively decent landlord, but left Mississippi after a relative was beaten nearly to death after being falsely accused of stealing a turkey. Starling was marked for death after he persuaded fruit pickers in his crew to demand higher wages. He was like someone in a Central American country ruled by death squads. He had to sneak out, like someone fleeing from behind the Iron Curtain, by traveling to a Florida city where he wasn’t known, and then buying a ticket for New York City. Dr. Foster’s father was a high school principal, and he married a daughter of Rufus Clements, the president of Atlanta University, the largest black university in the South. He could have had a relatively comfortable life if he had been willing to adapt to a segregated society. Instead he struck out for Los Angeles and independence. He built up a successful medical practice through his skill and his devotion to his patients, but he never got over the need to prove himself. Another way he sought to assert himself was to emulate the lifestyle of Sammy Davis Jr. and the Rat Pack. He was the personal physician of Ray Charles, who wrote a song about him, and a frequent visitor to Las Vegas, after Vegas became open to black people. He achieved great material success, but at the price of cutting himself off from his roots. Starling became a railway porter. One of his jobs going South was to shift black passengers into segregated cars when the train exited Washington, D.C. When segregation was outlawed, he took it upon himself to encourage black passengers to stand up for their rights. He was able to earn a good living, but he had a troubled marriage, a daughter became pregnant in her early teens, and a son became a drug addict. He told Wilkerson that he made both good and bad life decisions, but at least they were his own decisions. Ida Mae Gladney was the only one of the three still alive in 2010, when the book was published. She and her husband worked hard, achieved modest success and were loved by their extended family. She lived in a crime-ridden neighborhood, where she passed the time sitting by her window watching the drug dealers and street gangs outside. Some African-Americans in recent years have moved back to the South, which has changed dramatically, if not completely, during the past 50 years. But Gladney said she is now a Chicagoan, not a Mississippian, and faithfully attends neighborhood association meetings. Wilkerson did a fine job of weaving together the stories of Gladney, Starling and Foster and the history of African-Americans in the 20th century, and challenged common assumptions concerning this history. She said the African-American migration was not a result of the mechanization of agriculture in the South, but rather was a response to a labor shortage created by the migration. White Southerners tried to prevent black people from leaving the South, to the point of sending police or vigilantes into railroad stations and throwing black people off the trains. The loss of black farm labor may also be a reason for the large presence of unauthorized Mexican immigrants on Southern farms and in the migrant labor stream, but this is not a question she addressed. She said the poverty of black ghettoes in large American cities was not the result of the migration of ignorant rural Southerners, as is commonly believed. She said that, on average, the black migrants had better education, more stable families and better work ethics than those they left behind or black families already in the North. A high proportion of successful black American politicians, musicians, writers and entertainers are children of the great migration, she wrote. While in many ways the experience of black migrants from the South resembled the experience of European immigrants of a generation or two earlier, the African Americans faced greater difficulties. They were lower in the social scale than any other ethnic group, and they could not assimilate by changing their names or losing their foreign accents. They encountered plenty of racial prejudice and discrimination, but it was not imposed at gunpoint to the degree that it was in the South (the exception was when black families tried to move into all-white neighborhoods). White Americans sometimes think of our black fellow-citizens as a social problem. But we choose to think of American history as the story of a struggle for freedom and democracy, then we have to recognize that no group of Americans have struggled as hard to make these ideals a reality as black people have. Wilkerson’s book is part of that story. 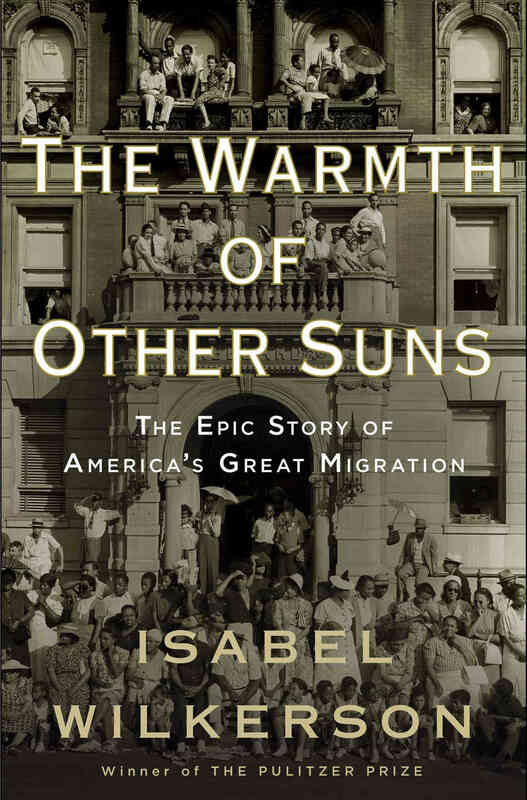 I have been reading The Warmth of Other Suns: the Epic Story of America’s Great Migration, the Pulitzer Prize-winning book by Isabel Wilkerson about the migration of black people in the 20th century from the South to the North and West. I intend to post a review of it tomorrow, but there was a particular passage that was so fascinating that it deserves a separate post. A brave black editor in Mississippi named Arrington High wrote a newsletter attacking segregation. In 1957, he wrote an article exposing white segregationist politicians who patronized a black whorehouse. The authorities had him declared insane and committed to a state mental institution, where he could expect to spend the rest of his life at hard labor. The asylum put patients to work on farms owned by the state. One of High’s chores was to get up at 5 a.m. and milk the cows. One morning early in 1958, instead of going to the barn, he walked down a deserted path to a row of automobiles, with four white drivers and a black driver. He got in beside the black driver, and the caravan was waved through by the armed guard at the gate. They drove to the Alabama line, where he got out of the car, walked across the line and joined another caravan with Alabama license plates. They took him to a black funeral home. He was told to lay down in a pine coffin with breathing holes. The coffin was sealed shut and flowers were put on top. The coffin was put in a hearse and driven to a railway station, where it was shipped to Chicago and opened 15 hours later by waiting friends. The whole story reminds me of someone escaping from behind the Iron Curtain. In the 1970s, the Soviet Union also dealt with dissidents by having them declared insane. 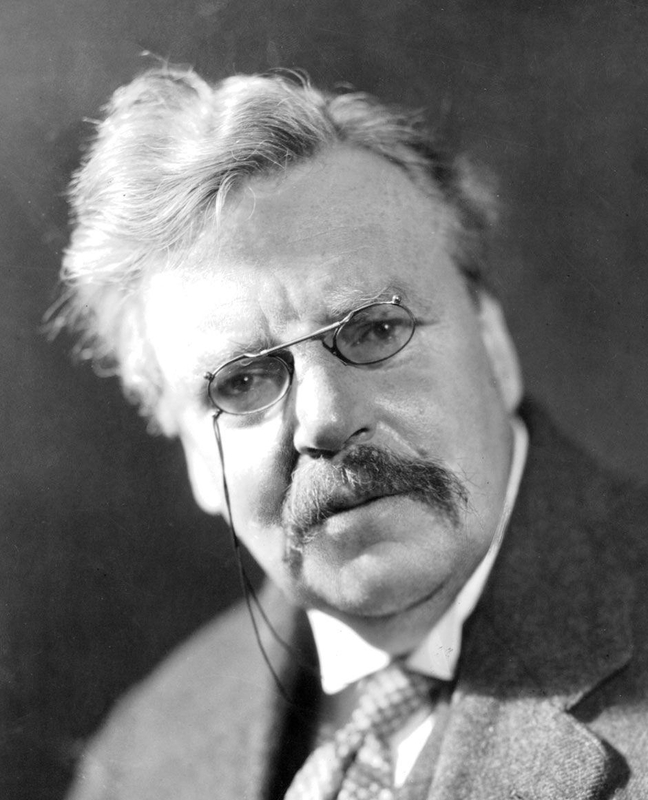 There was a medical diagnosis called “sluggish schizophrenia,” a unique form of supposed mental illness which had no symptoms. But I suppose it was a sign of progress, both in Mississippi and Russia that there came a time when dissidents were railroaded into mental institutions rather than being killed out of hand. And progress did not stop there. The changes that have taken place in the American South and in Russia during my lifetime are a reminder that freedom and democracy are not hopeless causes. An American exception for drone strikes? President Barack Obama and his nominee to head the Central Intelligence Agency, William Brennan, steadfastly refuse to say whether they believe the President has the right to kill Americans on American soil even if they have not been charged with any crime. The closest they will come to answering the question is to say they have no intention of killing Americans in the United States at the present time. Obama and Brennan definitely should answer the question. But if you think the President should be able to order the killing of anyone, anywhere in the world, based on his personal judgment of national security, why should an exception be made for American citizens? Are we Americans some sort of master race who are obligated to respect each others’ rights, but can do as we like to people of other nations? 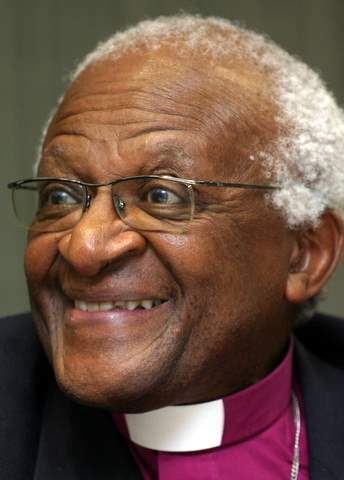 Here is the answer given by Anglican Bishop Desmond Tutu, winner of the Nobel Peace Price for his nonviolent struggle against white rule in South Africa. I am deeply, deeply disturbed at the suggestion … … that possible judicial review of President Obama’s decisions to approve the targeted killing of suspected terrorists might be limited to the killings of American citizens. Now I don’t think it would be an advance if the United States government came to hold the life of American citizens as lightly as it holds the lives of people living in the killing zones of Pakistan, Yemen and other countries, which I think this is a distinct possibility. Rather the point is that if you and I think we have a right not to have our lives snuffed out without knowing the reason, we ought to recognize that people of other nationalities, cultures and religions are just as human as we are, and have the same right. I heard a version of this kind of argument the other day when I was talking about drone killings to an Obamaphile friend of mine. My friend, whom I regard as both an intelligent person and a decent human being, argued that for President Obama to order the killing of people by precision flying drones is better than the alternative. The people in the target areas are better off, he said, than if the United States was dropping napalm and cluster bombs or invading with troops. Considered as a technology, flying killer drones are of course no worse than other weapons technologies, except they allow the illusion that killing is easy, safe and without consequences. The question is whether in a supposedly free country, the President should have the power to draw up death warrants and order killings at his sole discretion, like Yuri Andropov in the days of the old Soviet Union. V.I. Lenin once wrote: The scientific definition of dictatorship means nothing less but this: power without limit, resting directly on force, restrained by no laws, absolutely unrestricted by rules. If a head of state has the authority to sign death warrants as his sole discretion, what does he lack to fit Lenin’s definition? If this is accepted, not only President Obama, but every President for the foreseeable future, will lack nothing to exercise the power of a dictator. Never ask the doctor what you should do. Ask him what he would do if he were in your place. 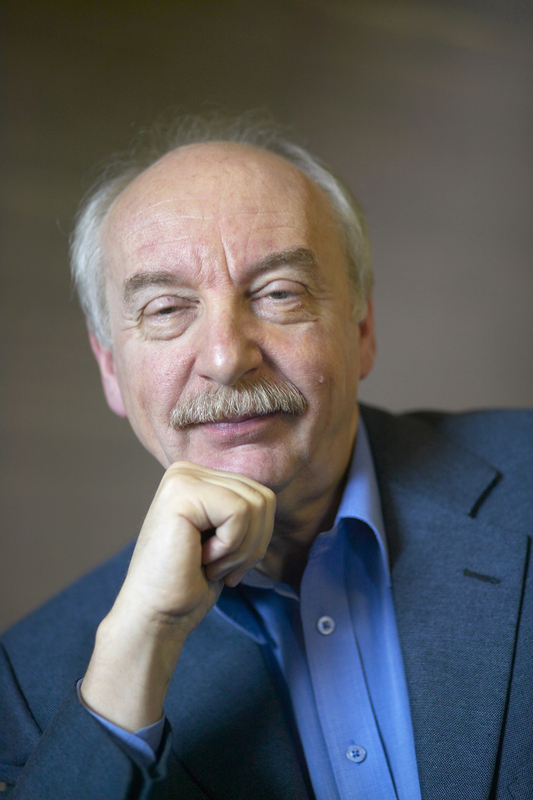 Gerd Gigerenzer is director of the Center for Adaptive Behavior at the Max Planck Institute for Human Development in Berlin. Click on Gerd Gigerenzer: Smart Heuristics for more about his thought. In this tallk, Gerd Gigerenzer, director of the Center for Adaptive Behavior at the Max Planck Institute for Human Behavior in Berlin, said it is possible to make good decisions without being able to accurately predict the future. The key is to find useful rules of thumb—heuristics. As an example, a baseball outfielder can catch a fly ball without being able to predict where the ball is going to land by keeping his gaze on the ball at a constant angle. Michael J. Fitzgerald of Valois and Watkins Glen, New York wrote the following article for his ‘Write On’ column which appears in The Finger Lakes Times every Friday. This article was published on Friday, February 22, 2013. It was posted here with Mr. Fitzgerald’s and The Finger Lakes Times’ permission. Forget all the arguments against hydrofracking for natural gas: the likelihood of water and air pollution, the truck traffic, the industrialization of the Finger Lakes. Let them go and consider just this: The best argument against hydrofracking for natural gas right now is economic. While Pennsylvania, Ohio and about 30 other states are destroying their environments in the process of drilling for natural gas, other nations are licking their chops at the opportunity to get that gas shipped to them. Are religious people more charitable? I frequently read that surveys show that conservative Christians are more generous than secular liberals in making tax deductible contributions. 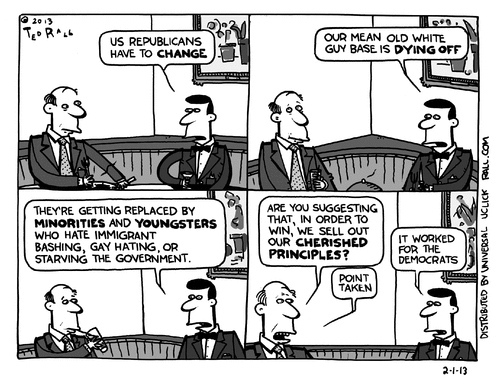 I always wondered how religious liberals compared to atheistic right-wingers, such as Ayn Rand’s followers. It turns out that religious liberals are somewhat more generous givers than religious conservatives, according to Robert Putnam, author of Bowling Alone and co-author of American Grace. What makes a difference, Putnam said, is not what religion you belong to, or how liberal or conservative you are, as how connected you are to a community. If your closest friends are members of the same religious community as you are, you are likely to be strong contributor to that community. If your ties are loose, then not so much. But if you give only to members of your own group, how charitable are you? 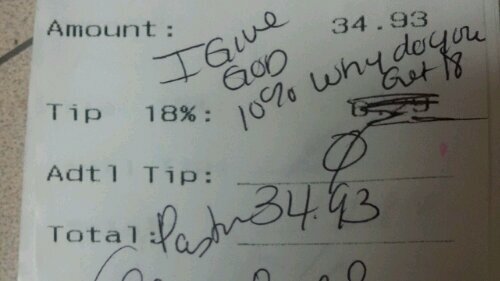 Michael Lynn of Cornell University did a survey last year that indicates American Jews and people without religious affiliation are more generous tippers than the average American Christian. Doesn’t that count as charity? I myself contribute more to First Universalist Church of Rochester, N.Y., than I do to all other tax-deductible charities combined. I don’t regard this as charity, in the same way as I regard putting a $20 bill in a Salvation Army kettle at Christmas-time as charity. I regard it as doing my fair share to support a religious community from which I benefit. The great wisdom teachers have advocated charity that goes beyond your own community. Rabbi Hillel, who lived at the time of Jesus, said the highest form of charity is when the giver does not know the name of the recipient, and the recipient does not know the name of the giver. Jesus gave as an example of love of neighbor the Good Samaritan, who helped a stranger of a hostile ethnic group, while condemning outwardly religious people who were unwilling to help a stranger. All this is true, but, on the other hand, if you don’t bother to help your family, friends and community, who are right in front of you, what does it mean to be concerned with people on the other side of the world whom you never saw? It’s complicated. There are many different ways of doing good. My home city of Rochester, N.Y., is full of churches and other religious groups that collect food to give to the hungry, shelter the homeless, offer cheap used clothing and appliances in rummage sales and the like—all operated by religious people who, as Jesus recommended, quietly do good without calling attention to themselves. Personally I agree with my friend David Malone that being a generous tipper to hard-working restaurant servers, taxi drivers or hotel cleaners is an excellent form of charity. It does not compromise human dignity. The recipient is not a beggar; the relationship is one of mutual benefit. It is an efficient form of giving. You know where your money is going, and you know it is all going to the person for whom it is intended. Click on Busting the Myth That Christians Are More Generous Than Non-Believers for more. The following article was published in the Democrat and Chronicle (Rochester, NY) on February 21, 2013. It was written by Joseph Hoff, chairman of Keuka Citizens Against Hydrofracking. Mr. Hoff granted us permission to publish it on New NY 23rd. As the governor and the state Department of Environmental Conservation ready a decision, the jigsaw pieces of local resistance to hydraulic fracture drilling for natural gas and oil in New York State continue to fall into place. Currently 206 communities are protected (48 of these are in the New York City/Syracuse Watersheds) with another 90 municipalities staging for passage of draft legislation and zoning ordinance. A total of 296 municipalities stand tall under the protective or projected umbrella of a time-out (moratorium) or prohibition (ban and/or restrictive zoning ordinance) against a highly controversial process. Eighteen months ago, there were but 47 communities that had done so. Click on The K Chronicles and The Knight Life for more Keith Knight cartoons. While the United States looks to hydraulic fracturing for natural gas for energy independence, our northern neighbor Canada looks to an even more problematic and dirtier energy source—tar sands. Tar sands are a mixture of clay, sand, water and a tarry substance called bitumen, which can be processed into crude oil. Bitumen can’t be pumped. It has to be mined. Then it has to be cooked in order to separate it from the sands and mixed with chemicals to make it liquid enough to be piped to a refinery. Canada is the only country with an important tar sands industry. The Canadian province of Alberta has one of the world’s two largest known deposits of tar sands (the other is in Venezuela). They underlie an area as large as the state of Florida or the nation of England. If all the tar sands were usable as oil, Canada could in theory be an oil producer equal to Saudi Arabia. Tar sands are pumped into the United States partly through Keystone pipeline, which became operational in June, 2010. The pipeline extends from Hardisty, Alberta, to Cushing, Oklahoma, and Patoka, Illinois. Now the TransCanada, the pipeline owner, wants to make extensions of the Keystone pipeline—the Keystone XL pipelines—which would take the tar sands crude from Cushing to refineries in Houston and Port Arthur, Texas, and create a more direct route from Hardisty across the Great Plains. Canada is the largest source of U.S. oil imports, and a large fraction of that is tar sands oil. 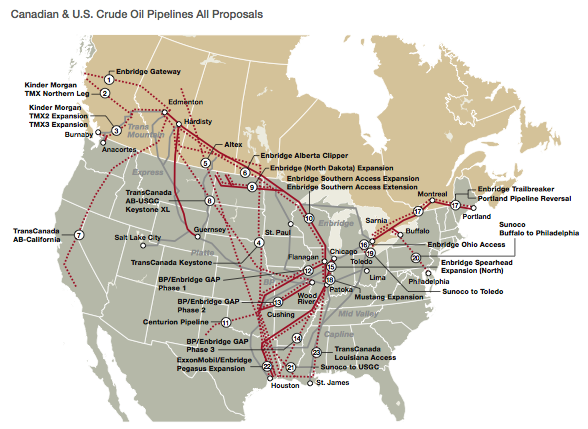 Enbridge, another Canadian tar sands company, also operates pipelines in the United States and also looks to expand. Environmentalists have valid objections to tar sands generally and to the Keystone XL plan in particular. Alberta’s tar sands are extracted through surface mining, one of the most destructive extraction practices in existence. Tar sands mining contributes to global warming by releasing underground carbon, increasing carbon emissions, and destruction of forest land. Environmentalists say tar sands mining and processing uses four times as much energy as it makes available. Processing of tar sands bitumen requires corrosive chemicals to make it liquid enough to pump. The chemicals can corrode pipes and create the danger of spills. Whistleblowers say that TransCanada doesn’t properly inspect its pipelines. There were 12 spills during the first year of the Keystone pipeline’s operation, admittedly all relatively minor, and a more serious spill in Michigan by Enbridge. TransCanada says it already has the necessary approvals for the southern Keystone XL through Texas, but President Obama has authority to disapprove the northern Keystone XL because it would cross the U.S. border at a new point. 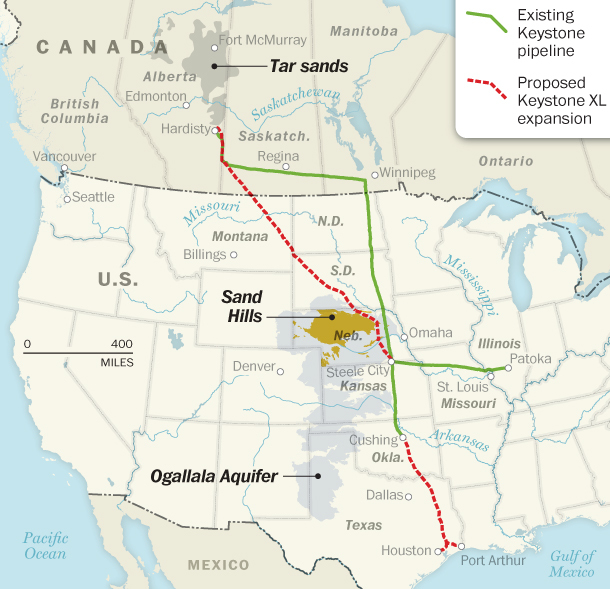 That extension would take the tar sands pipeline through the Ogallala Aquifer, an underground water reservoir which supplies irrigation water for 20 percent of U.S. farm production and drinking water for many communities. A spill or leak could contaminate this water. If President Obama can’t bring himself to disapprove the pipeline altogether, he should insist that it be rerouted around the aquifer. No matter what he decides, tar sands will reamin as a presence in the United States and as an issue. I have to admire the oil industry’s enterprise and ingenuity. It is amazing to me that techniques such as deep water ocean drilling, horizontal hydraulic fracturing for natural gas, and conversion of tar sands to usable petroleum are even possible. I think the environmentalists’ objections to tar sands are all valid. But I want gasoline for my car and that gasoline has to come from some source, dirty or clean. I wish the intelligence, hard work and capital investment that is going into developing dirty energy can be redirected into developing clean energy. The oil industry probably would say the latter isn’t economically feasible. I can’t prove this is wrong, but if it is, industrial civilization doesn’t have a future. Beware of projects that risk permanent harm in return for short-term gains. This is the reverse of mainstream economic thinking, which privileges present value over future value. Beware of risk assessments. An insurance actuary can accurately estimate the risk of common events, but there is no accurate way to estimate the risk of catastrophic events that rarely happen or haven’t yet happened. It is much safer to weigh what you have to gain against what you have to lose. Beware of projects that require waivers of laws. If an environmental law, or a health and safety law, is harmful or unnecessary, it should be repealed, but if it is needful, then there shouldn’t be any exceptions. I wonder whether the attitude of the camper in this video would have been different if he had been holding a powerful gun instead of a camera. Would he have behaved differently if he had had the option of using a gun? Would the gorilla have sensed a difference in his attitude? I don’t know. Hat tip to Bill Elwell for this video. The blogger known as B Psycho made a good observation the other day about torture, warfare and obedience. He wrote that although we’re told torture and assassination are needed because we’re in imminent peril from terrorists, the direction of causation is the reverse. It is because of the torture and assassination that we need to believe in the peril. The more complicit we are, the more faith we need to have in authority. CK suggests that deep down the real object of torture is breaking the torturer. 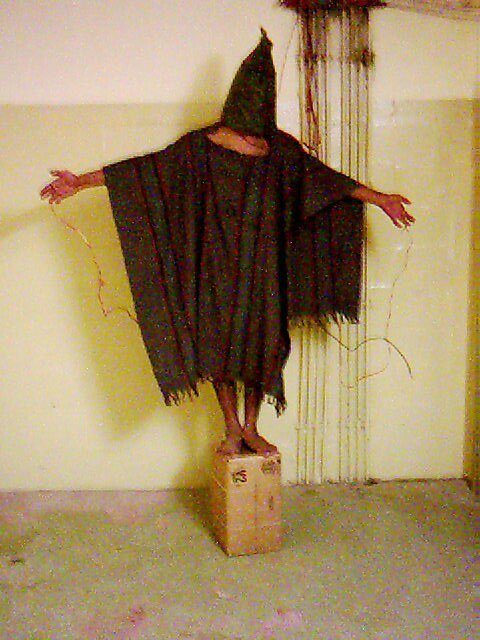 … … The prisoner is a prop in the submission of self to The Cause, adding yet another layer of sickness to what was already a disgusting demonstration of what government authority does to people. Reminds me of how 1984 ended — the book, not the year. No war is ever, ever has been, or ever will be fought purely for family, community and country. No warrior is ever, ever has been, or ever will be given orders by family, community, or country. I just finished reading A.J.P. Taylor’s history of the First World War, a war which nobody wanted, nobody won (except in the sense of avoiding defeat), and nobody would have begun if they had known the mass killing that was in store. But once the mass killing had begun, the purpose of the war had to be defined in a way that justified the mass killing. It became a war of good versus evil, a war in which no compromise was possible, precisely because it was so pointless to begin with. During the 1950s, French officers decided that the only way to pacify Algeria was to torture suspected insurgents and get them to name other insurgents. While many or even most of the victims might be innocent, the real insurgents would be caught up in the sweep. Use of torture began as a repugnant necessity, became accepted as a routine and, for some, even became pleasurable. When the French government began to negotiate with the rebels, a portion of the French officer corps rebelled, not out of patriotism but because an independent Algeria robbed them of justification for their crimes. A warrior (or anybody else) who is governed by an internal code of honor has something that nobody can take from him. General Robert E. Lee  was defeated despite using every honorable means to win, but his self-respect was intact. If your self-respect is instead based on pleasing authorities, or acceptance by peers, or even accomplishing a mission, you are not in a position to question authorities, the collective or the mission’s objective, and your self-respect is something that other people have the power to take away from you. 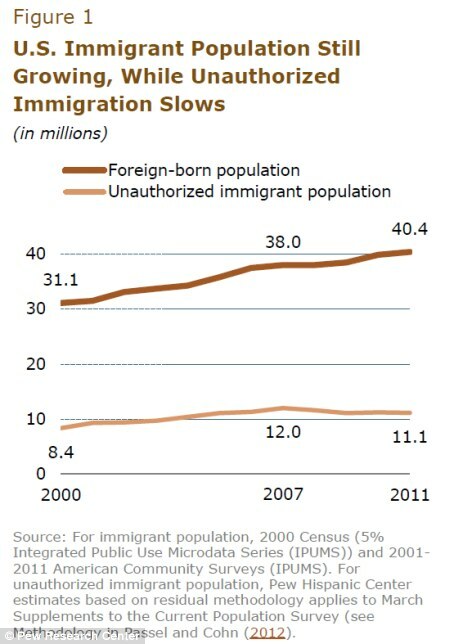 Lest we forget, most foreign-born residents and new citizens came into this country legally. And the legal process usually is not easy. 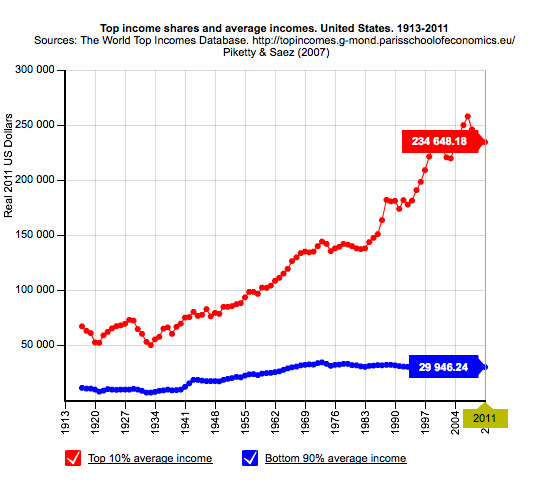 The chart below is nearly five years old, but the information on it is still correct, as far as I know. Joe Guzzardi argues in this morning’s Democrat and Chronicle that granting legal residence or a path to citizenship to 11 million unauthorized immigrants would be devastating to the 20 million Americans who are now unemployed or underemployed, which, as he points out, include a large number of poor African-Americans and Hispanics. The problem I have with his argument is that these 11 million unauthorized immigrants already compete for jobs with American citizens and legal residents. One of the big advantages of hiring unauthorized immigrants is that they are outside the protection of American law. They can’t complain about being paid sub-minimum wages, not being paid overtime or being forced to work in unhealthy or dangerous conditions. Bring them under the protection of American labor and workplace laws, and enforce those laws, and the playing field between immigrant and native-born is leveled. I imagine Joe Guzzardi would say it would be better simply to deport the unauthorized immigrants. But the U.S. government has been trying this for years. 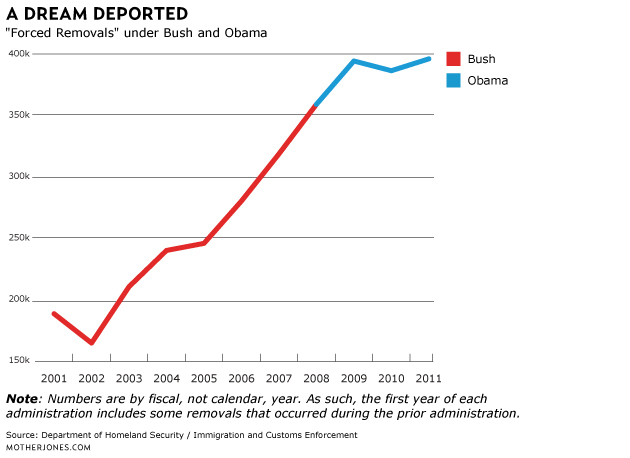 President Obama is deporting unauthorized immigrants at the rate of 400,000 a year, many more than under the Bush administration. At this rate, it would take more than 27 years to track down and deport 11 million people and that only if no new unauthorized immigrants slipped in during that time. I think President Obama’s amnesty proposal is the least bad of the possible alternatives. And I don’t think deportations are the key to reducing the unemployment rate. Click on How Obama’s Path to Citizenship Actually Works for the specifics of the President’s draft bill. It’s a funny thing. I never hear anybody argue that increasing CEO pay will lead to fewer jobs for CEOs, or that increases in CEO pay will cut unacceptably into profits, or that the cost of CEO pay will be passed on to consumers. Unless something changes, it is only a matter of time—maybe a very short time—before the U.S. Postal Service goes out of business. The USPS has all the hallmarks of a failing business. It is cutting back on service, letting employment fall by attrition, driving its remaining employees to work harder, and resorting to short-term expedients to keep going. An uptick in the U.S. unemployment rate. The U.S. Postal Service employed 528,458 people in 2012, the lowest number since 1978 and down from a peak of 797,795 in 1999. For comparison, General Motors employed 91,000 before filing for bankruptcy. Rate increases, service reductions or both from Federal Express or United Parcel Service. 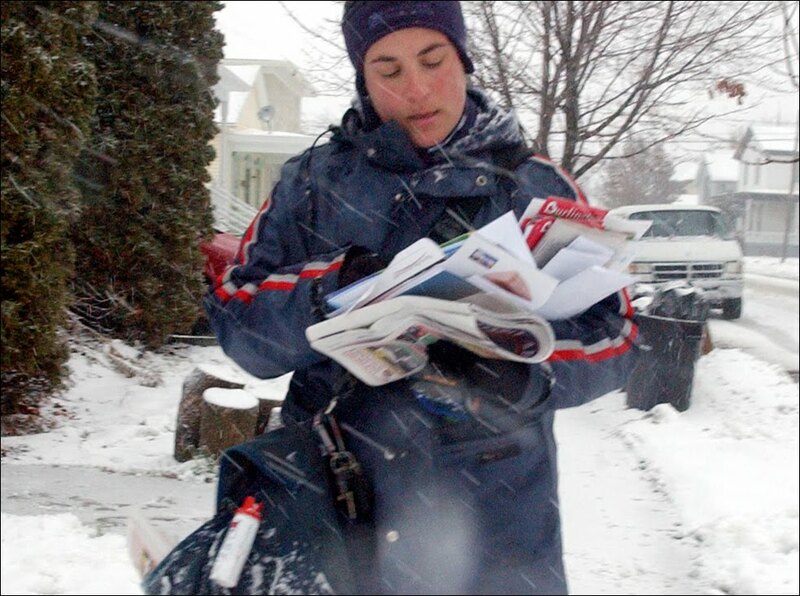 Both companies rely on the USPS to fill gaps in their service. A sell-off of the Postal Service’s assets—buildings, vehicles, computers and much else—at bargain rates. The Postal Service doesn’t keep track of the market value of what it owns. Its purchase cost for its land and buildings was $27 billion, but much of the its real estate holdings are in prime locations in the center of town, and undoubtedly worth many times the original price. 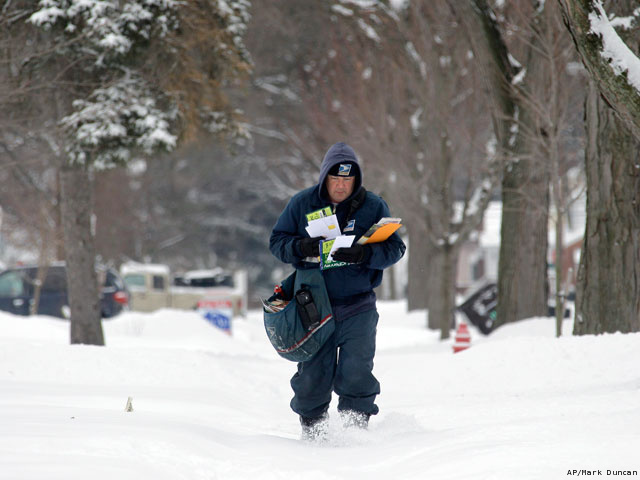 Mail delivery is one of the functions of government established by the U.S. Constitution. There is no good reason why it can’t continue. One problem is the mandate that the Postal Service fund the retirement benefits of employees 75 years in advance—some of whom may not be of working age before the USPS is defunct. No private business would ever assume such a burden. While this mandate has been temporarily eased, the larger problem is that, although Congress in 1970 mandated that the Postal Service be self-supporting, it did not grant the Post Service’s managers the same authority that corporate managers have to set rates and determine what services to offer. So it has a mandate to compete, but in handcuffs. So-called conservative Republicans in Congress have along sought to abolish or privatize the Postal Service because they oppose public service on principle. I give them credit for at least fighting for their principles, which is more than I can say for the majority of the so-called liberal Democrats, including President Obama, who do not stand up either for their principles or their core supporters. Click on You Should Be Outraged By What Is Being Done to Our Postal Service for a fuller report by Dave Johnson for Alternet. Do 20 million Americans need a raise? The vast majority of Americans favor an increase in the minimum wage. But Americans who took Economics 101 in college have their doubts. They were taught that when the price of something goes up, you get less of it, and that if you raise the minimum wage, you will get fewer jobs. Now that obviously is true at some level. If you raised the minimum wage to $49 an hour, many employers would lay off workers rather than pay them that amount. But within the range that the actual U.S. minimum wage has been raised, statisticians have not found any such effect—for example, a comparison of bordering counties in states with differing minimum wage laws. If there is such an effect, it is so small as to be lost in the normal fluctuation of the unemployment rate. How many employers are there who can afford to pay someone $7.25 an hour, the current national minimum wage, but not $9 an hour, as President Obama has proposed. I don’t think there would be many except those who have strong competitors who are only paying their own workers $7.25 an hour. If the minimum is raised for everyone, none of the employers is placed at a competitive disadvantage. The President’s proposal is modest. When Barack Obama ran for President in 2008, he proposed an increase to $9.50 an hour by 2011. Now he proposes $9 an hour by 2015. He said no working American ought to live in poverty. 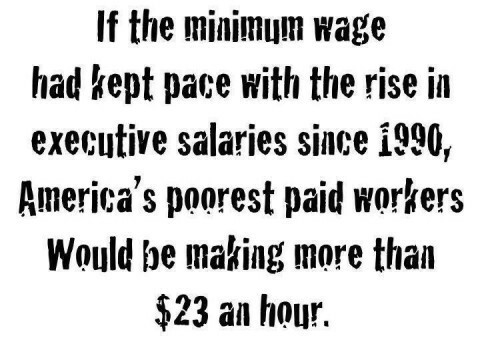 Actually a wage of $9 an hour would be a poverty wage for a breadwinner supporting a family of three. Economist Dean Baker pointed out that if minimum wage had kept pace with productivity since the 1960s, it would be more than $16 an hour. The most significant part of President Obama’s proposal is to index the minimum wage to inflation. Once Social Security pensions were fixed amounts, with Congress every now and then voting an increase. Now Social Security is linked to the Consumer Price Index, and pensioners no longer fall behind because of inflation. Look at the chart above. 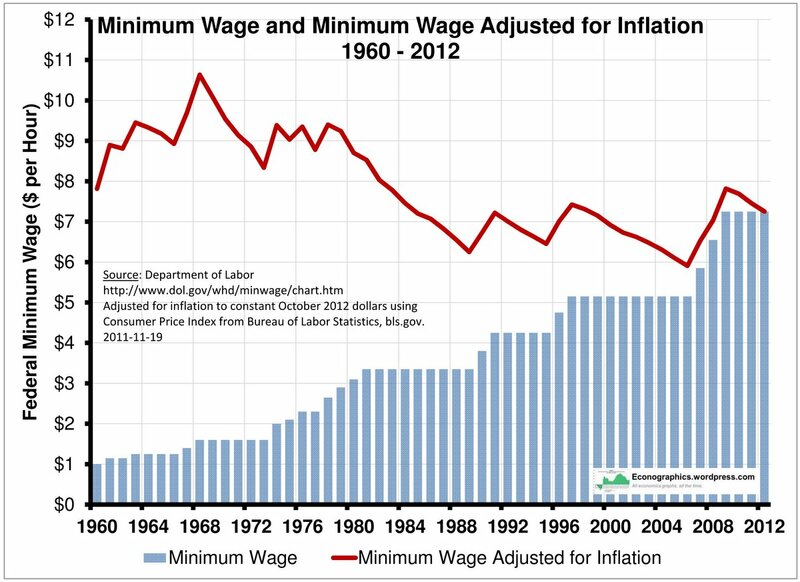 The long-term trend has been a decline in the minimum wage, if you adjust for inflation. but we haven’t seen an increase in low-wage jobs. There are 10 industrialized countries with minimum wages higher than in the United States; eight of them currently have lower unemployment rates than the U.S. According to some theories, an increase in the minimum wage will increase jobs. The idea is that if working people earn more, they will buy more, and if they buy more, then more people will have to be employed to supply goods and services. I’m not sure to what degree this theory is true, but it makes just as much sense as the opposite theory. Click on Raising American Wages … By Raising American Wages for an argument by Ron Unz, publisher of The American Conservative, for raising the minimum wage to $10 or $12 an hour. Click on Raising the Minimum Wage to Catch Up With 1968 for 30 Million Workers> for an argument by Ralph Nader and the Time for a Raise organization for raising the minimum wage to $10.50 an hour. Click on An Increased Minimum Wage Is Good Policy Even During Hard Times for a review of recent economic studies. Click on Thoughts on the Minimum Wage: Evidence, Opposition and Historical Context for a comprehensive consideration of the issues. Hat tip to my friend Joyce Ireland for the video above. Many of my friends who are in their 80s have given up driving, or don’t drive at night, because of vision problems. If I live long enough, I expect I’d have to do the same. I don’t expect to see this in my lifetime (I’m 76), but it would be great to have a driverless car—the equivalent of an automated taxi—that could take me where I want to go by itself. At the same time I have misgivings about the increase in human helplessness, and reliance on the perfect functioning of a technology that the individual neither controls nor understands. My father could not only drive his car, but could make elementary repairs. My car is much easier to drive than my father’s. I don’t have to worry about shifting gears or getting it to start on a cold winter morning. I can get by with being less competent than he was, about many things, because technology makes things so easy for me. If I really wanted to, I could acquire these competences, but it is easier to take the path of least resistance. A friend my own age who worked his way through college as an auto mechanic said that today’s cars are designed so that many components are unrepairable. You have to send them back to the factory for a replacement. The tradeoff is an immediate increase in human well-being in return for a long-term decrease in human competence. I admit I would accept this tradeoff, but it probably would be better if I didn’t. Or at least if not everybody did. When cars are driverless, do you have to take a driving test to get a driver’s license? I think you should. Who is responsible if there is an auto accident? What happens if the GPS systems suddenly fail during rush hour, and the cars are suddenly without guidance? I imagine the public will be told that the systems cannot fail—until they do. Maybe driverless cars should be restricted to the elderly and the physically handicapped.